Finally got her first tooth & is currently working on the second. Got better at crawling & moves forward a little, as well as sideways, backwards & around. Started eating three meals a day. Gained another pound & a half or so, jumping up to the 70th percentile from the 30th. Sang, squealed, growled, babbled & blew raspberries more than ever. Started peeking around the sides of her stroller to look at people when we're out. 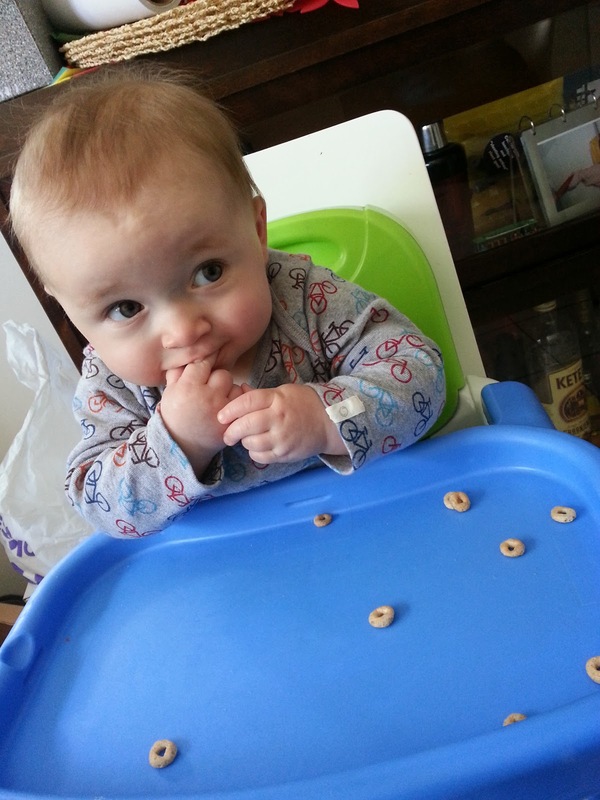 Figured out how to pick up & eat Cheerios. Has almost entirely stopped gagging while eating, even on lumpy oatmeal or chunks of fruit. Grew a little in height but is still near the bottom of the charts.